Starting out as a nominal barn structure and then becoming the largest church in Christendom for 200 years (until overtaken by St. Peter’s Basilica), the medieval Abbey of Cluny in Burgundy, France, boasts its fascinating historical legacy. 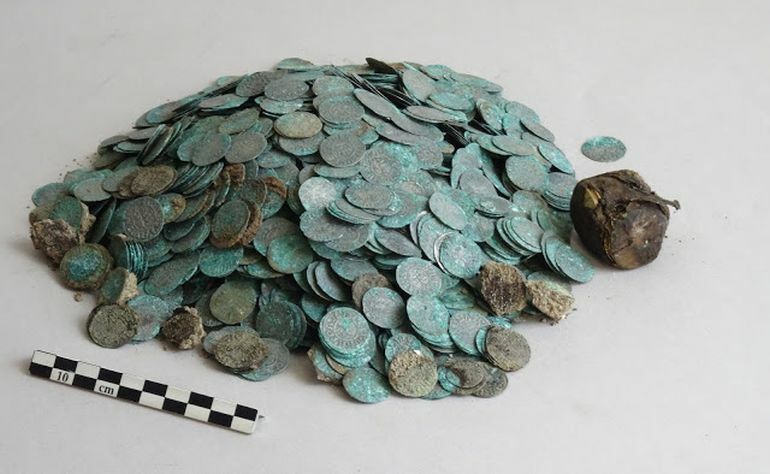 And as recent archaeology has proven, the religious hub also retains its fair share of mysteries, with researchers being able to discover a veritable treasure hoard of gold and silver coins, including 2,200 deniers and oboles, hidden in the old infirmary. And incredibly enough, the archaeologists were also able to discern some Islamic coin specimens in the cache, all dating from circa 12th century AD. Interestingly enough, the infirmary endured a demolition in the 18th century, which according to CNRS researchers, was a chance survival fueled by a few centimeters. 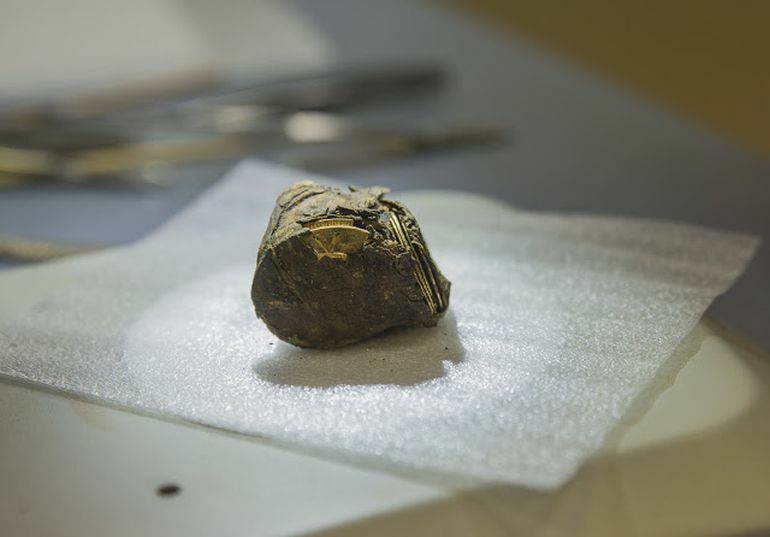 And this fortuitous outcome has ultimately led to the discovery of the hoard in the 21st century, with the treasure inventory containing more than 2,200 silver coins, 21 gold dinars, a gold signet ring with a Roman intaglio, a folded piece of gold leaf, and a small gold object. 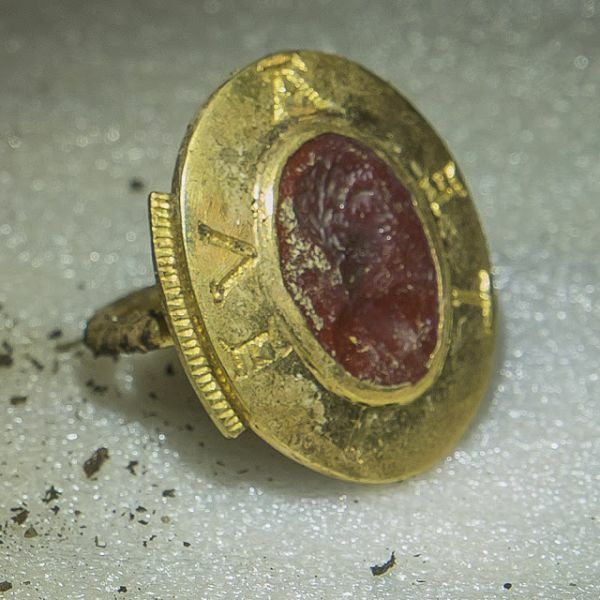 In fact, in allusion to the rarity of the scope, this is the very first time that archaeologists have been able to find Islamic dinars, silver deniers, and an engraved ring depicting a Roman god – all in a single location. It should be noted that while the Abbey of Cluny flaunted its network of monasteries and quarters during its medieval heydays, most of these structures are non-existent today due to the rigors of time. Therefore the archaeologists had to focus on identifying the older remnants of the massive abbey. Consequently, they undertook an unearthing project, and once again by a fortunate chance, their excavator’s teeth missed the treasure – thus not resulting in any damage. And it was during this precarious phase of the operation that one of the MA students spotted a coin from the stratigraphy, and subsequently, the remaining excavation was conducted by hands. As for the origins of the silver coins, the researchers were already aware of the Abbey of Cluny’s prestigious authority to mint its own currency since the 11th century. To that end, these silver coins probably mirrored the income (from the complex network of transactions across Europe) that was forwarded to the abbey via various priories. However, the gold currency was not an established norm in Christian realms until the emergence of florins from Florence in circa 1252 AD. 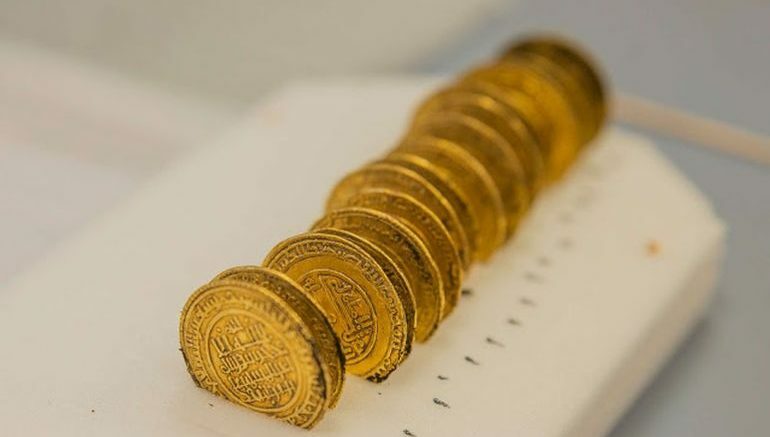 In that regard, the coins were found to be dinars that were minted between 1121 and 1131 AD in the regions of Spain and Morocco controlled by the Berber Almoravid dynasty. These valuable specimens possibly made their way to the abbey via transactions with the Andalusians or maybe even direct donations from the Christian kings of Spain (who took over the war spoils). …the treasure should have been enough to buy three to eight horses, the equivalent of the same number of cars today. It’s a considerable sum for an individual, yet it is by no means colossal on the scale of the abbey, for which it would have represented only a week’s supply of wine and grain for the monks. Perhaps a member of the order wanted to bury his nest egg. The location of the discovery could also link it to the purser, the monk who handled the monastery’s food budget.